I need to be honest. 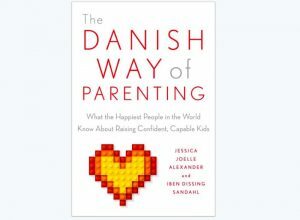 When I first heard about the new book The Danish Way of Parenting by Jessica Joelle Alexander and Iben Dissing Sandahl, my back went up. Did I need to read yet another lecture about how a different culture parents better than mine does? From The Battle Hymn of the Tiger Mom to Bringing up Bébé, it seems that every year someone exposes the plethora of mistakes American moms and dads make daily and espouses a parenting philosophy from another country where parents are calmer and kinder and children are more obedient and creative, far smarter and practically picture perfect. While both of the aforementioned books gave me much food for thought, I felt frustrated by their underlying critical tone. As a professor of Romance Languages and Literatures, I deeply value learning about and from other cultures and people, but the mother in me who is doing her very best to bring up three children in an increasingly complicated world felt chastised. 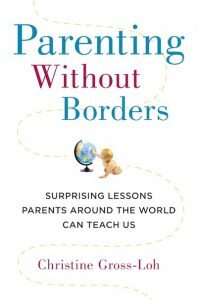 My issue is not as much with the advice these parenting manuals dispense, but with the manner in which they achieve their goals by claiming one culture’s innate superiority in the already “unteachable” act of parenting. We often tease that “no one gives you a manual” when you have a baby, but these books purport that, in fact, certain mothers don’t really need one because they are born with a keen sense of how to raise children that mothers the world over will want to emulate. Even the premise that unruly American children are in desperate need of better parenting irks me. There, I’ve said it. That’s been bothering me for a number of years now. You may ask why I felt the need then to read The Danish Way of Parenting. Truth be told, I picked it up hoping that Alexander and Sandahl would be the ones to strike the right tone, that they might offer insight on how Danish parents relate to their children without ostracizing those of us from other countries and cultures. As early as the introduction, the authors remark, “Denmark is not utopia, and surely it has its own internal matters to deal with, as does every country. Nor is this book in any way meant to be disparaging to the U.S. This is an enormous country, and the facts and observations we state in the book are generalizations. Jessica, personally, is very proud to be American and loves her country dearly. She has simply had the opportunity to see the world with a very different pair of glasses on – through ‘Danish lenses,’ if you will – and it has changed her whole perspective on life” (xxii). The picture the authors paint of life in America is unfortunately not as rosy. With their focus on individualism and competition, American parents fall back on our “default settings” that often put us at odds with our children. While perhaps a slight exaggeration, this bleak depiction does, however, shine light on the “extreme parenting” that many of us have seen in our own communities. For that reason, I forged ahead in my reading. 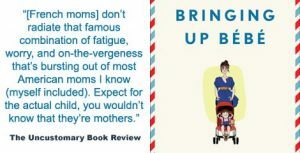 I’m so glad that I did because the parenting advice in the body of the book, while perhaps not entirely new for some readers, offers encouragement and advice that all parents can appreciate. Immensely readable, the book offered practical suggestions for making the parent-child relationship a haven, a safe place where children can grow into resilient, secure and empathetic adults. 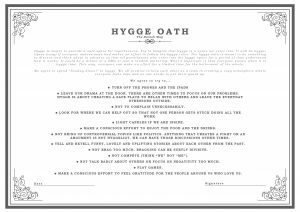 For those already practicing mindful, positive, slow, connected, attached, conscious or spiritual parenting (to name just a few modern parenting buzzwords), each chapter’s title and list of specific tips will likely ring familiar, but for many parents, The Danish Way of Parenting will inspire an awakening as it encapsulates in under 150 pages some of the very best ways to cultivate happiness in your home. What this means to me is that for all of our differences, as parents we are much more similar than dissimilar. We can both reflect on and celebrate what Dr. Sara Harkness calls our unique “parental ethnotheories” – our intrinsic beliefs, that is, about the right way to parent – while still mining the practices of parents across the globe for lessons, assimilating what works for us and letting go of what does not. This is definitely a book I will revisit as I continually strive to raise kind, responsible, confident and balanced children who will take direction from their hearts as well as their minds and who can independently “reframe” life’s challenges into lessons and blessings. Parents from every walk of life, I suspect, would hope for the same. 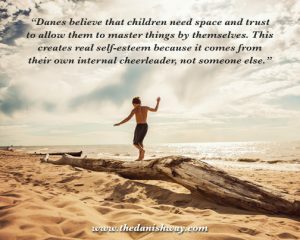 For further insight from Alexander and Sandahl, visit the The Danish Way of Parenting website and blog. Watch Jessica Joelle Alexander’s interview with BBC about The Danish Way of Parenting. Buy The Danish Way of Parenting on Amazon.